If you and a group of mates want to get together and buy a bulk load of Nike golf balls we have the stock for you. This will be a random mix of Nike ball types except Tour balls. 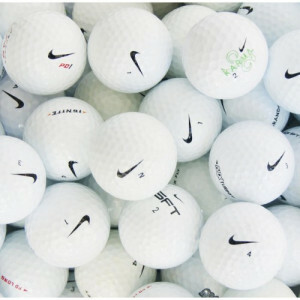 Nike golf balls are one of the most popular balls in the game today. They are used by some of the world's best golfers such as Rory McIlroy, Tiger Woods, Nick Watney and Anthony Kim. The balls are incredilbly well regarded in the market and a great buy for anyone looking to stock up on a quality brand name for a great price. All balls have been hand sorted twice - the quality is outstanding. We also include FREE golf tees with all these orders! Delivery was punctual on the day stated. I would recommend "Lost Golf Balls" to anyone who would care to listen. From placing the order until I received the order,which I think was about a week. Was pretty speedy and no hang ups. Cheep and ****** nice balls, lightning quick service , I order today delivered tomorrow Melb to Noosa. Beat that. fast dispatch , good quality balls, the course I play has narrow fairways with dense bush fairway edge ,makes lost ball palatable when you have paid around $1 per ball. Great price, balks are in great condition. Easy, simple and very quick delivery. Good quality product presented as advertised. Would recommend and buy from again. Very quick service. Value Thanks mate. We're trying to get our orders out on ASAP so glad to see you appreciate it on your end. Hit 'em straight and let us know if you snag a hole in one. Excellent balls as described. Fast service. Thanks for the review mate. We hope you enjoy a great game with the balls. Good service as always, quality of product was great and was delivered quickly. Very happy with condition of balls. They posted quickly but took nearly 2 weeks to arrive by startrack. A Great Way To Buy Cheap Nike Golf Balls If you and a group of mates want to get together and buy a bulk load of Nike golf balls we have the stock for you. This will be a random mix of Nike ball types except Tour balls. 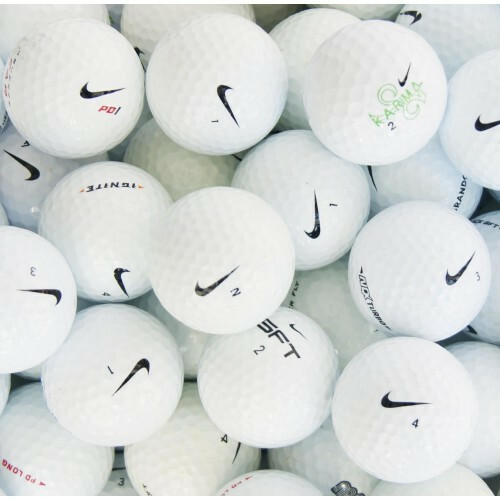 Nike golf balls are one of the most popular balls in the game today. They are used by some of the world's best golfers such as Rory McIlroy, Tiger Woods, Nick Watney and Anthony Kim. The balls are incredilbly well regarded in the market and a great buy for anyone looking to stock up on a quality brand name for a great price. All balls have been hand sorted twice - the quality is outstanding. We also include FREE golf tees with all these orders!